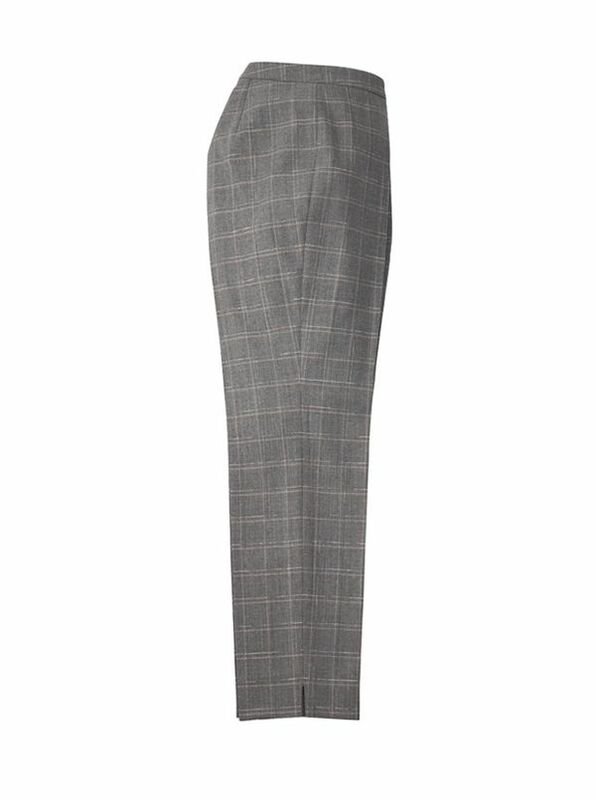 Windowpane Check Slacks by Peserico in classic grey sparked with a bit of lurex in the checks. Tailored in Italy 97% wool/3% Elastane for comfort with stretch. Front zip, side cuff vents, ankle-length, no pockets.